Isaac helps social entrepreneurs design and build sustainable businesses. In 2013, he became the first ever employee at The Difference Incubator (TDi), an intermediary that helps social enterprises scale up and take on investment. Isaac is known for his work on social enterprise business models, financial modelling and his passion for using business to address serious social challenges. Before TDi, he previously worked in Strategy at ANZ and in Finance at Servants Community Housing, where he is now Treasurer. 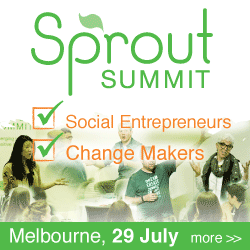 This is part of a series of interviews with not-for-profit leaders and social changemakers in partnership with Sprout Summit a conference about using business to shape a better world in Melbourne on 29 July. Over the last seven years, he has become renowned for being a skilled facilitator, engaging speaker and a trusted advisor. Isaac also works at Business For Development (B4D), an NGO that creates inclusive businesses and social enterprises in the developing world. He is currently designing two agricultural businesses (in PNG and Indonesia), which create sustainable employment and drastically increase incomes for some of the poorest people in the world. Everybody loves to talk about social impact, but impact alone won’t make you successful. Both TDi and B4D specialise in consulting, using fee-for-service models. When TDi started, we knew it was important that we pay our own way, especially since so much of our advice is around creating financial sustainability. It’s important that we “eat our own cooking”, and we hit our target of self-sufficiency at the end of year 3. I see three main customer segments – social entrepreneurs wanting to become investment-ready, not for profit exec teams looking to move away from donor funding, and groups like NAB and DFAT who need specialised contractors in Australia and the Pacific. I’ve spent the last few months on a social enterprise in Papua New Guinea, designed to lift the incomes of some of the poorest people in the world. In places like this, economic development is best done through agriculture, and seeing the idea take shape has been inspirational. This year TDi rolls out our program across Sydney, Brisbane and the Pacific, which is exciting. Scaling is tough, but being able to increase our impact feels rewarding. The first huge consideration is the intent of the client. 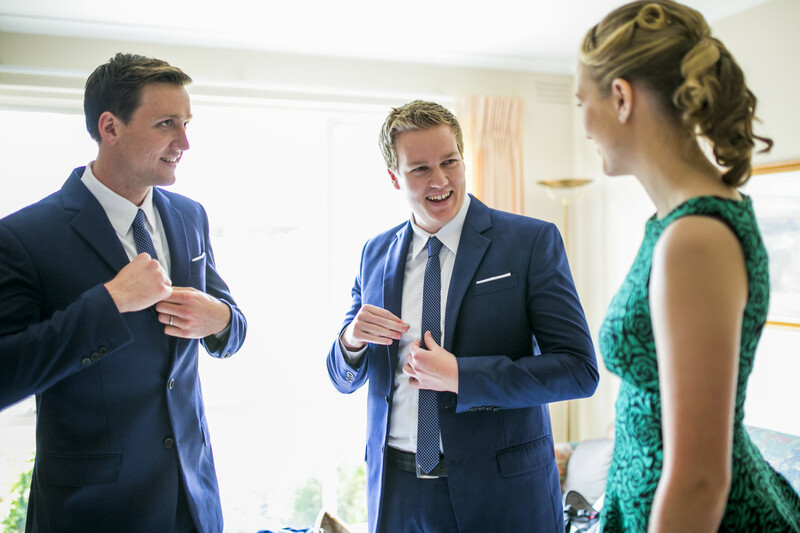 I’ve never changed anyone’s mind when it comes to social issues – the entrepreneur or company bring that to the table. The mechanism they use to make money often changes, and it comes down to two huge questions: Who is our customer, and what is our value proposition to them? I love the Strategyzer tools and canvases, which often help shape and refine our thinking, combined with Lean methodology that focuses on real-world testing and quick, scrappy iterations. I’m currently in the “Learn” category, and that has guided my work choices for the last eight years. People like Bessi Graham, Brad Graham and Paul Steele teach me so much about business, design and leadership. Joining the board of Servants Community Housing has transformed my views on good governance, thanks to the wisdom and patience of their committee. I rarely have two days that are the same, which is great. A typical day at TDi would be running a Business Model Workshop for a Not For Profit executive team, or facilitating a session of our Two Feet program with 8-10 social enterprises. With my work at Business For Development, my time is spent designing new social enterprises in PNG and Indonesia, building financial models, and validating ideas with our future customers. When TDi started, the social enterprise market was tiny and fractured. The majority of Australians hadn’t heard of a social enterprise, and the groups that existed weren’t commercially successful. We made a conscious decision to become self-funding, and revenue generation takes a lot of work. It’s been hard, but it also gave us credibility – we do exactly what we tell our customers to do. Keeping a close watch on these three is what leads to sustained success. Who else do you think is doing really cool stuff in your industry, in Australia, at the moment? Impact Investment Group are quietly building an impressive track record and portfolio, which is great for the industry. Bec Scott of STREAT is a wonderful example of vulnerability in entrepreneurship, speaking honestly about the joys and challenges of their current growth and success. Alex Drew is launching a men’s health initiative called Mr GP that looks amazing – using clever service design that encourages blokes to go to the doctor more regularly. Groups like Village Capital in America and School of Thought in Singapore, both driven by incredible teams and philosophies. Businesses can be great vehicles of change, both through where they put their money, and how they operate day-to-day. I think we get too hung up on where profit goes, when in reality that’s a small part of the overall impact. I like businesses that can create change through who they employ, what materials they use and the impact from how customers use their products. Yes, I am a big fan of Servants Community Housing. Servants run high quality rooming houses for homeless people in Melbourne – often people with a severe mental illness. Most rooming houses are atrocious, but Servants are different, known for their famous three values – Respect, Dignity, Hope. I started as a volunteer in their kitchen when I was 10, my dad and I would cook dinner for the residents on weekends. I later became a cleaner, handyman, part of the finance team, and now the board. Homelessness has such a stigma attached to it, and it’s so easy to dehumanise people. Servants run great houses, each with a strong community focus, and are currently in the process of expanding. Yes, I first started out with B4D as a volunteer while in my final year at uni, and now years later I’m here as a project manager. Same with TDi – our best interns were people who showed up and offered to help, and they then became some of our best employees. If you’re interested in working in social enterprise and have a useful skill, I highly recommend having a coffee with us. In Melbourne CBD it’s Kinfolk Café, and Percy’s Aeroplane in Kew. Whenever I need to write a report or a blog post, that’s where I to focus and get caffeinated.